We all love the value of the original Xiaomi Yi camera for our quadcopters flying: robustness, good quality footag, and affordability. 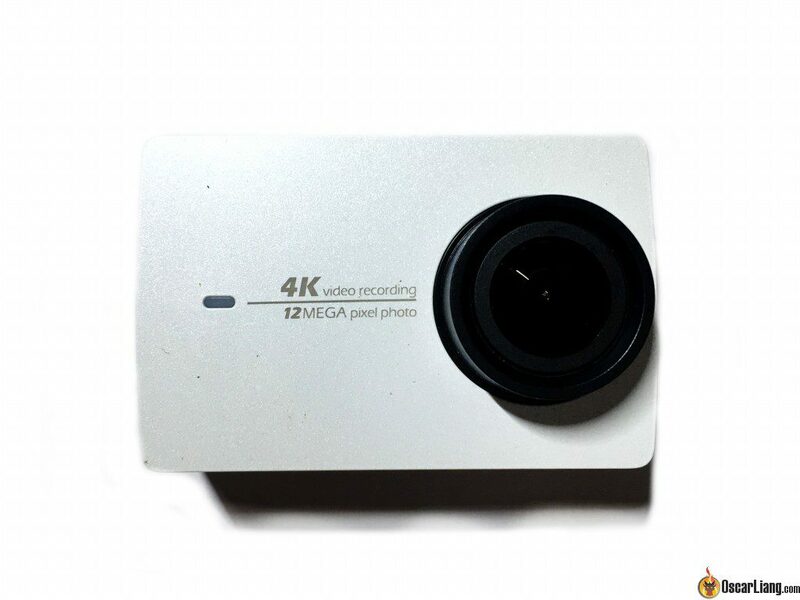 So how is this new version of Xiaomi Yi 4K that is able to capture 4K videos? Make sure to check out our guide on how to choose a great HD camera for mini quad. I bought the Xiaomi Yi II camera from Banggood for $211. it came in a very simple package with minimal accessories, only a battery, a manual and an USB cable. There is only 1 physical button – the shutter button. It also the power button – short press to turn the camera on, short press again to start/stop filming, long press will turn the camera off. The rest of the operations are done on a nice colour touch screen on the back. You can see what you are filming with very little delay. And the touch screen operation is very smooth too. There is an “Ultra” mode to every resolution. At first I thought it’s the different FOV, like “Superview” in GoPro, but I was wrong. The difference being in the footage bit rate. With 1080p Ultra your footage are recorded at 40MBps, without (1080p) it’s 26MBps. Bitrate at 4K Ultra is 60MBps. On the bottom of the camera there is a tripod mounting hole, just like the older version of the Xiaomi Yi. The USB port has a door that is attached by a string. I love this new feature as in the old version, I often lost the door when I crash my drone. The SD card slot has been moved into the battery compartment. It can be good and bad. Good thing is your SD card is safely sitting inside the camera, with the old version, my SD card often get ejected with the door in a crash. The bad news is it takes slightly longer and more effort to remove the SD card. The new Xiaomi Yi is slightly longer than the original Yi and GoPro. But the height and thickness are about the same. The camera with battery weights about 90g. There is an mobile phone app available for the camera, which you can use to control the camera, replay footage/photos, and update firmware. It feels like the camera is designed for the Chinese users. The manual is written completely in Chinese. I couldn’t even figure out how to switch language on the camera, it seems like the camera can only operation in Chinese menu? It would be really annoying if you don’t know Chinese. On the original Xiaomi Yi (older version), I installed the Superview script for better looking videos. But even with that the Yi 4K appears to have larger FOV and less fish eye effect. Sharpness is also better. Unlike the previous version, the lens were mostly out of focus, in the new camera this is no longer a problem. Another shot from the sky, the image at 4K resolution is excellent. Wide dynamic range seems to be similar, but 1080p is a bit better than 4K on this. Despite the good footage, I can’t recommend using it on a quadcopter. I think the original version would serve better. Firstly for $210, If you are looking for high quality videos, I would rather pay a bit more towards the GoPro, otherwise you won’t go wrong with the good old Yi at $60. Secondly I think 4K resolution is an overkill for most of us flying mini quads. 1080p is what we normally record at anyway. Finally the back screen also makes it more vulnerable in crashes. However with the back LCD screen, I think it would make a better handheld action camera! It doesn’t matter how good your action camera is, without a screen you don’t know what you are filming, or if your shooting angle is right. You won’t have this problems with the Xiaomi Yi 4K and it’s a good substitution to the more expensive GoPro 4 Silver. There are already many accessories available for the Xiaomi Yi 2 camera, though GoPro accessories are not compatible with it due to the different shapes. bought the YI 4k about a month ago. I think the electronic stabilization failed when I first mounted it on my bike it worked good the second time i used it it didn’t seem to work any longer. I contacted YI with no avail. They did not want to honor the 12 month warranty and washed there hands of solving the problem. I can not recommend this device. Xiaoyi YI 4K Action Camera 2 (Black) + Original Waterproof Case + 1 Piece Spare Battery + Charging Dock + EC-BRB01 Skateboard Accessory. price:239.99$ on geekbuying with free shipping . I want it, but need your help regarding the online store and price. I buy this camera, international version. This is so bad camera and I am so disappointed! No focus on photos, no quality in 4k, stuttering. I will return it ASAP! I just bought the camera ad I`m also experiencing the same stuttering issue. i`ve purchased the proper memory and still have an issue with it. How’s it from geekbuying for $249? They have them on sale. Use Adobe premier, every video ive recoted and tested works fine on my camera and once exporting as silky smooth as original viewing. Windows codecs generally are not great. Id suggest use vlc. Ive had no issues. To cure the stuttering, load the video file in to a video file converter software programme , then convert it to MP4 1920 x 1080, do this at the slowest speed possible, then watch it in a good video player such as zoom player, the result is a silky smooth video, with no stuttering. Can you tell me if there is any av cable for th YI 2 4K available or instructions for doing one for FPV? I just returned to Amazon my recently purchased YI 4k action camera. Why you ask ? Because of the video stuttering. I find that all videos, in whatever frame per second settings, are not fluid at all. More surprising is that you’d think you ‘d get better fluidity with 50 fps or 100 fps, but this is not the case. The SD card is not the cause of the problem (I used the recommended Lexar pro 150Mb/s meant for 4k and tried a Sandisk too with same results). The PC on which i played the video is not the cause (core I7, two graphic cards in SLI, 16Gb RAM) of the stuttering. I have tried various firmware, and also the latest 1.1 without improvement. I have found other people via google who suffer too from stuttering with this camera. I find very strange that it is not explicitly said as a negative point of this camea in reviews. Has anyone else experienced this video stutter problem with the YI 4K ? I have the same problem but not for all videos, it happens randomly. My firmware version is 1.1.0 and it happens in 1.0.8. My SD card is a Sandisk Extreme Pro U3 64 Go. Does somebody has a solution ? Is it a problem with my cam or is a design problem ? Probably a bit late for this, but I just wanted to point out that you seem to have bought the domestic (chinese) version of the Yi 4K. I didn’t know that they had two versions either so I got the domestic version also. There are two different versions of the Yi 4K: The domestic (domestic) and international (english). Some differences between the international and domestic is that the international has an english menu, a slightly smaller battery and is slightly more expensive ($230). The domestic version has a chinese menu and comes with a slightly larger battery and is less ~ ($210). Buying from some stores that get their stuff directly from china such as banggood probably resulted in this. Yi’s own website directs you to amazon for the international version. you might be right! it’s an early domestic version. Can’t find this on Banggood any more. Your link is 404 not found. I wonder why they would have stopped stocking it…? not sure why… maybe they had wrong product descriptions and working on a new one? 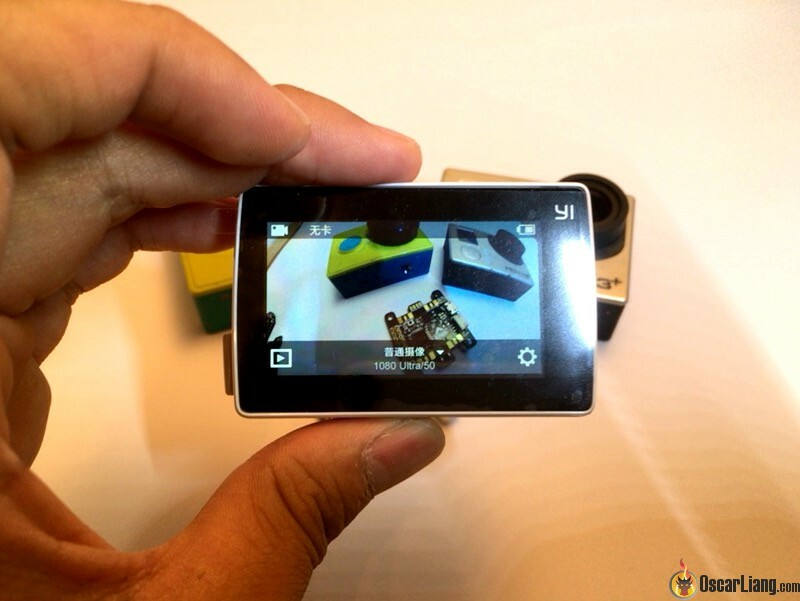 I asked about this and Banggood says they will not be stocking the Yi 2. No idea why though, it’s kinda strange. are you looking to buy a Xiaomi Yi 4K? no… in 4K mode, 25fps is the only available frame rate. with high expectations, but little bit disappointed as any video over 30fps, the video is stuttering. Really disappointed disappointed. So I bought the special sd card SanDisc Extreme 32G U3 class Read 90 write 40. Still the issuey remains. Any Suggestions?